Does anyone recognise this unique place and tell us something about it? Is it a fire watchtower from WW2. Don't know where though but could be Herries Rd. That's correct, bus stop on Herries Rd near entrance to hospital. Could be barnsley road going down to firvale. 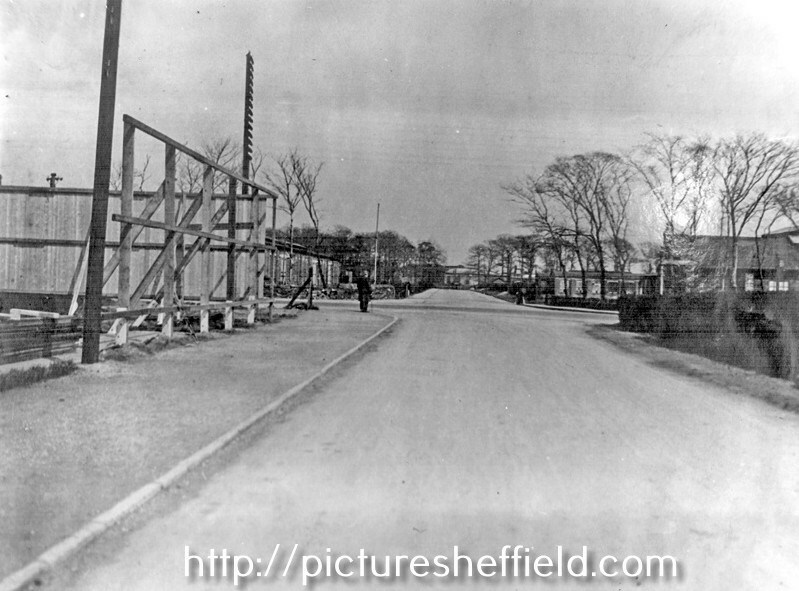 The building is a bus stop & could be Northern general hospital on the left. 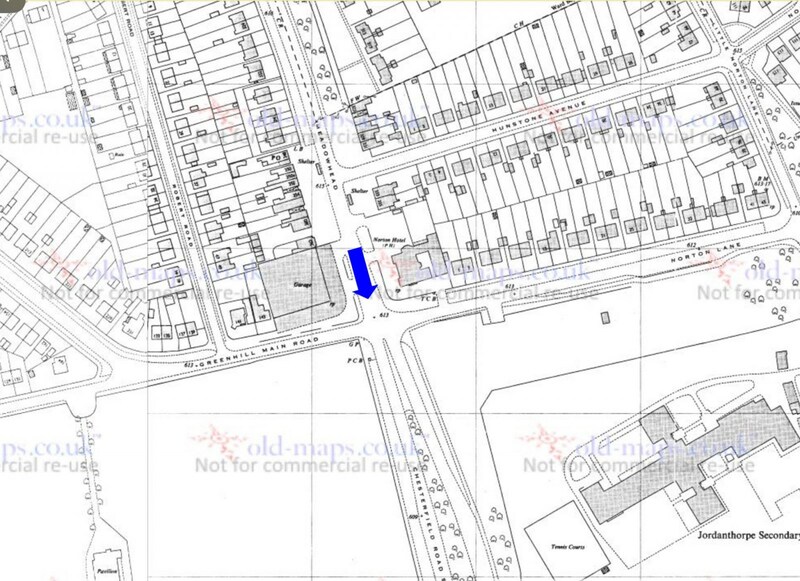 Definitely Herries Rd - NGH on the left - where the bollards are is Norwood Rd junction on the right. I re,eber teh prefabs being on the RH side too and they were replaced by flats late ?1970s. Remember the bus stop like that but don't have any idea as to why it seems to have a balcony thing on top. I seem to think it was built in the 1930's and is styled in that period of "modernity"...the "balcony" is an architectural feature. 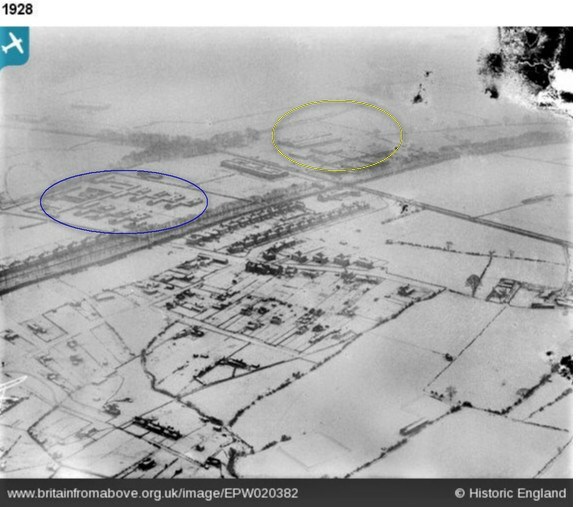 It is on a 1935 Aerial Photo and I suspect that most visitors to the Hospital in those days would have relied on Public Transport and,as it was a long walk from the trams at Firvale, more people would travel by bus.The end of visiting hours would see an increasing number congregating at this stop so a larger shelter with extra overflow standing room (on the roof) was provided. There was a request stop a short way along Norwood Road for City bound buses and you would often see folk running to it direct from the Hospital gates if a bus was already at the shelter in the hope of catching it ! Further to RLongden's research there are more pictures on PS taken by the City Engineers Dept as "Before & After" the road junction improvement. The 'befores' are dated 16 April 1956 whilst the 'afters' are as already stated as 4 December 1956 so that shelter clearly survived that improvement scheme. 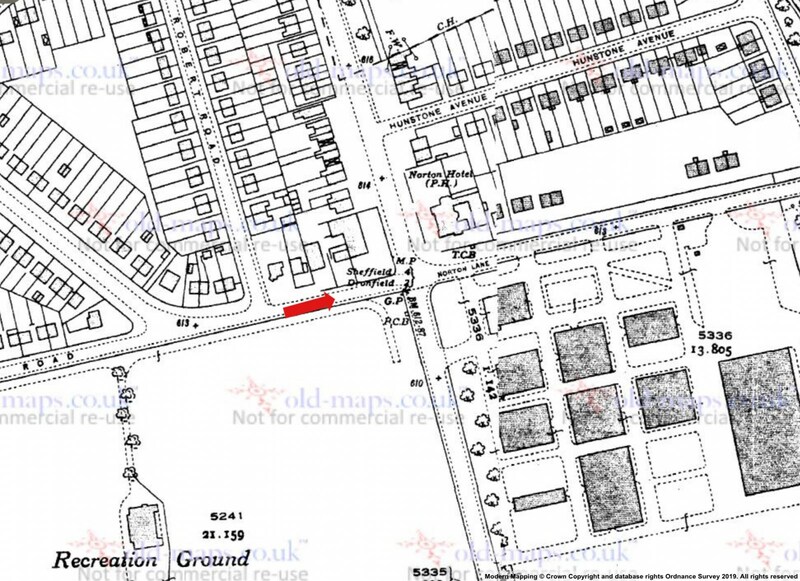 As I bought my first car in March that year my route to town didn't use Norwood Road and a couple of years later I moved away so my recollections of later events are limited to my visits to parents in S5. ........jigincs post and an extended view of the 'street view' shows just how the car has taken over in the last 60 years. Anyone remember the demolition of the shelter? It's a shot taken in Winter from the bare trees. There's a bit of sun casting a shadow of that telegraph pole on the left, so the view could be eastwards. 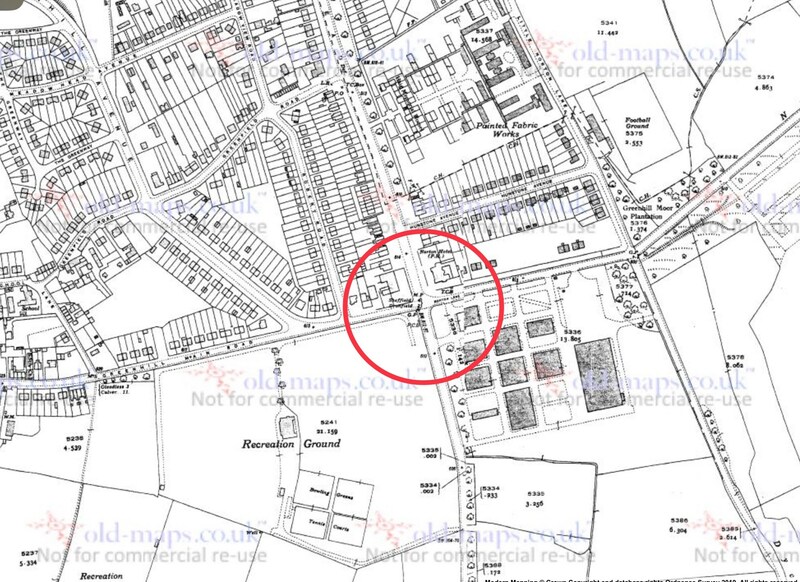 I'm guessing Hatfield House Lane looking eastwards towards junction with Sicey Avenue? 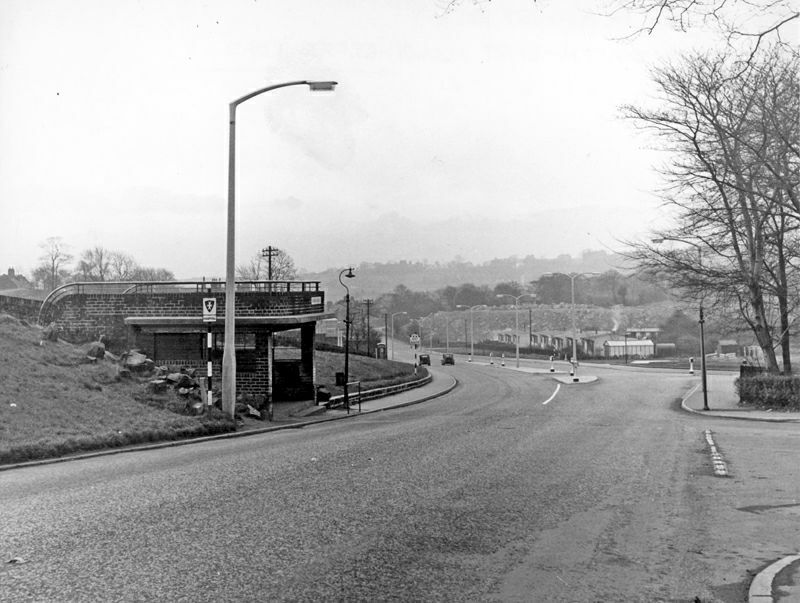 Could it be Four Lane Ends, the top of Meadowhead? Bicycle on the left passing Norton Hotel. and today’s view?..... not possible as all but obliterated by Meadowhead roundabout! Nice one @boginspro your suggestion set me off on that line of enquiry! I couldn't resist having a look and I see what you mean. I can't say that I am impressed with the name Bochum Parkway either. I passed there and used the Norton Hotel many times in the 60's. If I was there now I think I would just drive past, the pub and car park area look awful now. 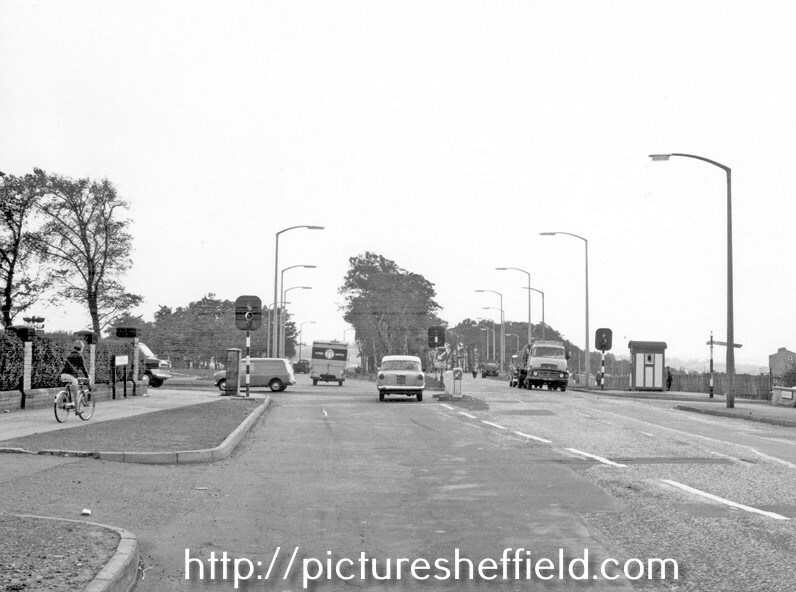 later image taken from blue arrow, with the tree lined central reservation that marks the dual carriageway down past Lowedges, to join the Dronfield bypass.